Here’s something to crow about; We did it! At last, a healthier, better alternative to Rawhide. No-Hide® Chews gives new meaning to dog treats. When it comes to our true core values, we insist on quality and we never settle for second best. We were tired of unacceptable ingredients and chemicals. This is why we created No-Hide® Chews. They are one of the first chews of its kind and Hide free! Our No-Hide® Chicken Chew is a long-lasting, easily digestible chew, created for your dog’s enjoyment and your own peace of mind. The chicken has been carefully rolled, cooked, and uniquely dried for a one of a kind chew your dog will love! 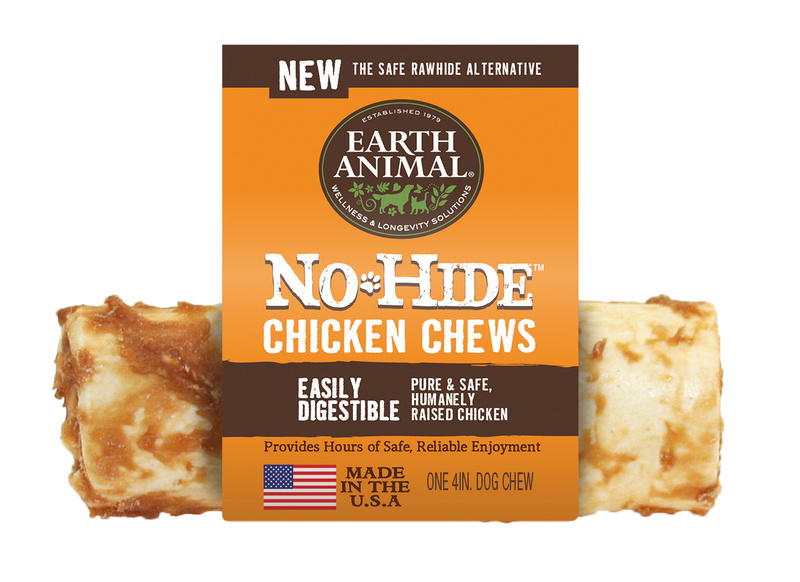 Our pledge to you is this: No-Hide® Chicken Chews are always made from American farm-raised chicken with no added hormones, steroids or chemicals. 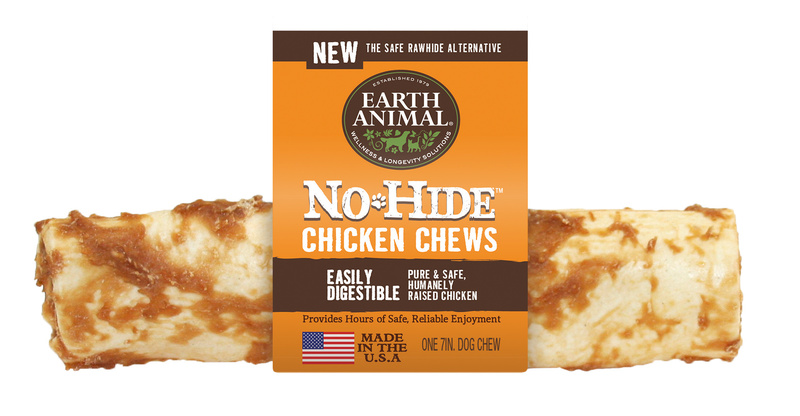 No-Hide® Chicken Chews give new meaning to dog chews. Try the healthier alternative today! We always suggest giving No-Hides® or any chews under supervision. Keep an eye on your pup while they enjoy the chew! Our 100% pure, natural chicken chews are easily digestible, nutritious and have absolutely NO chemicals or additives. We know your dog will love our tasty, easily digestible No-Hide™ Chicken Chews. Chicken, Brown Rice Flour, Chicken Gelatin, Olive Oil, Banana Powder, Bromelain (Pineapple).